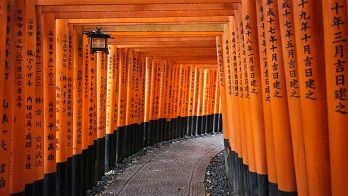 Tonkatsu is a breaded, deep fried pork cutlet served with tonkatsu sauce, a Worcester-based sauce. 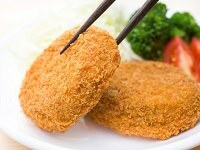 Tonkatsu is made by coating pork chops with flour, egg, and panko (Japanese bread crumbs), then deep frying the pork. 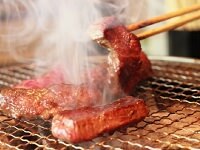 When eating tonkatsu, there are typically two options for the cut: hi-re (pork filet) and rosu (pork loin). 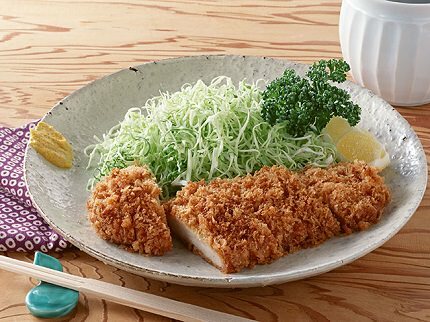 In addition, tonkatsu is almost always served with shredded cabbage and rice. 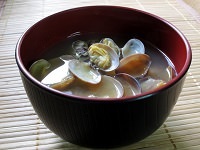 The cabbage is a tradition that began in the Meiji era, and is said to have many beneficial health properties. 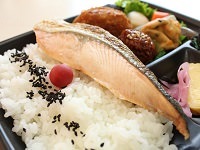 When ordering a tonkatsu meal at most restaurants, you will be served tonkatsu on a bed of shredded cabbage and a bowl of rice with miso soup and pickled plums on the side. 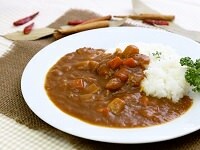 People also enjoy tonkatsu in sandwiches in Japan, with curry rice, or with egg on a bowl of rice as a katsudon. 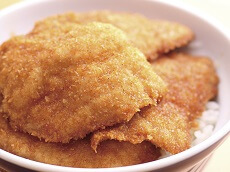 Tonkatsu has grown in popularity in Japan and around the world, including varieties like Hawaiian-style chicken katsu and South Korea's don-gaseu. 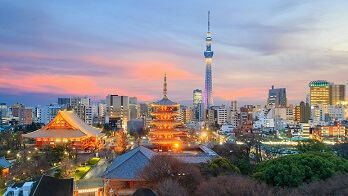 Most Japanese restaurants in the states are sure to have tonkatsu, but why not enjoy Tonkatsu fresh during a Japan tour between Tokyo and Kyoto? 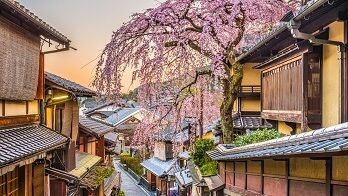 Customize your vacation to include tonkatsu in Tokyo, Kyoto, or Osaka, or join a Cherry Blossom Tour for the spring and try authentic Japanese tonkatsu while cherry blossoms fill the air! 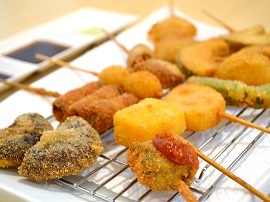 Deep-fried skewered dish in made with various meats, seafood, and vegetables.